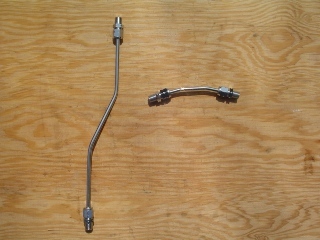 These oil lines and fittings are show chrome plated and will stand out when installed on any Shovelhead 1966-84. Seals are included nothing else needed for a leak free installation. Replaces OEM #'s 62783-66A and 62785-66A.